Kidney cancer is among the 10 most common cancers in both men and women. While the rate of people being diagnosed with kidney cancer has been slowly increasing since the 1970s, the death rate has been slowly declining since the 1990s. An estimated 63,990 new cases of kidney cancer will be diagnosed in the U.S. in 2017, with more than 14,400 deaths expected to result from the diagnosis. The lifetime risk for developing kidney cancer is about 1 in 63 or 1.6%. Men are twice as likely to develop kidney cancer as women. Kidney cancer is uncommon in people younger than 45 and occurs most often in people 55 or older. 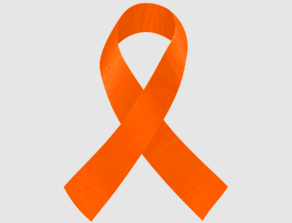 The overall five-year survival rate for people with kidney cancer is 73%. Risk factors include smoking, obesity, high blood pressure, family history of kidney cancer, advanced or chronic kidney disease, exposure to radiation therapy or carcinogenic chemicals, and long-term use of the painkiller phenacetin. In addition to specific projects listed below, genomics research is helping us attack kidney cancer – and all types of cancer. NFCR has distinguished itself from other organizations by emphasizing long-term, transformative research and working to move people toward cancer genomics. Dr. Wayne Marasco, the Director of the NFCR Center for Therapeutic Antibody Engineering, is a world-renowned antibody engineering expert who works on infectious diseases and cancer immunotherapies. Dr. Marasco’s laboratory has developed one of the largest human antibody phage display libraries ever made (with tens of billions of members). For cancer, as well as HIV/AIDS and other infectious diseases, one possible treatment involves the use of human monoclonal antibodies (Mabs) – which are proteins that are produced to bind to only one substance. Dr. Marasco has had great success developing Mabs that attach to an important protein – carbonic anhydrase IX (CAIX) – that is highly expressed in renal cell carcinoma, the most common type of kidney cancer. Once attached, the CAIX antibody can halt abnormal cancer growth. Most recently, his team at the NFCR Center developed a combination immunotherapy treatment that holds promise for treating metastatic kidney cancer more effectively. The immunotherapy they have engineered includes not only the CAIX antibody that detects and binds to CAIX growth-promoting proteins on cancerous kidney cells, but also unblocks T cells to enable more rigorous attacks against cancer.